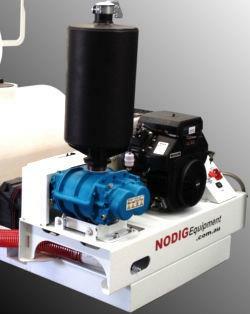 Locating underground services become a breath with a vacuum excavation system VM1000 from NO DIG Equipment. 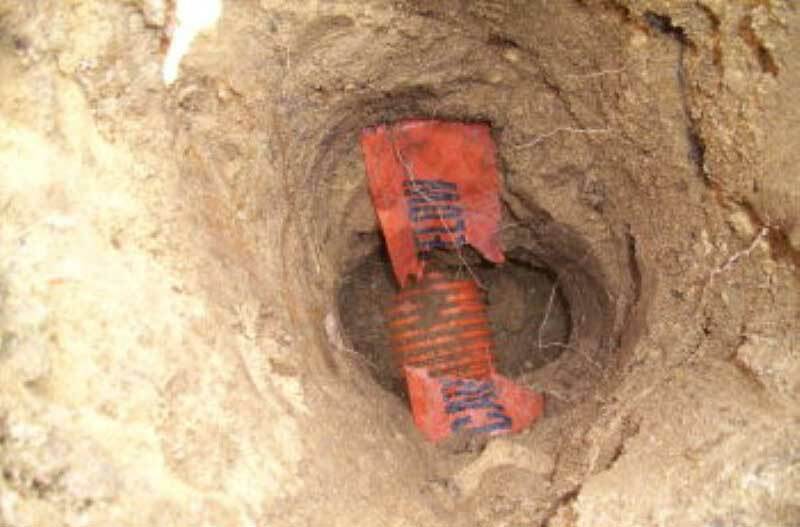 The safest method over conventional excavation in order to locate and expose underground utilities. 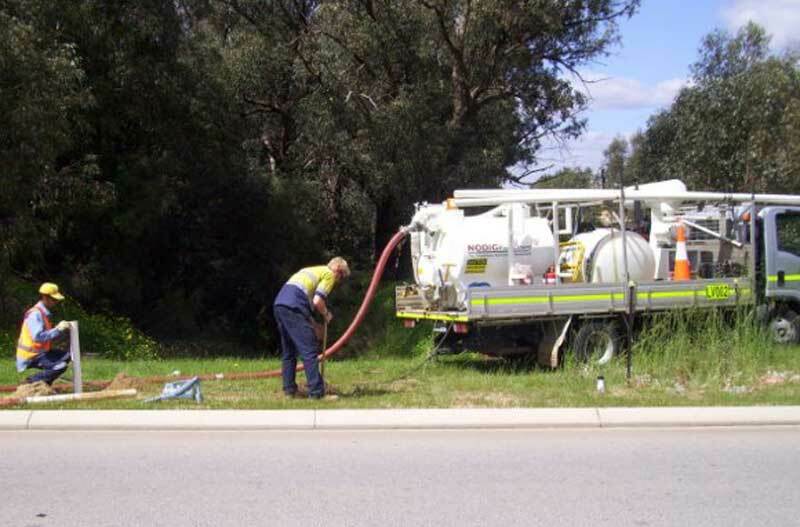 Vacuum excavation, suction excavation or hydro vac are also called Non-Destructive-Digging. 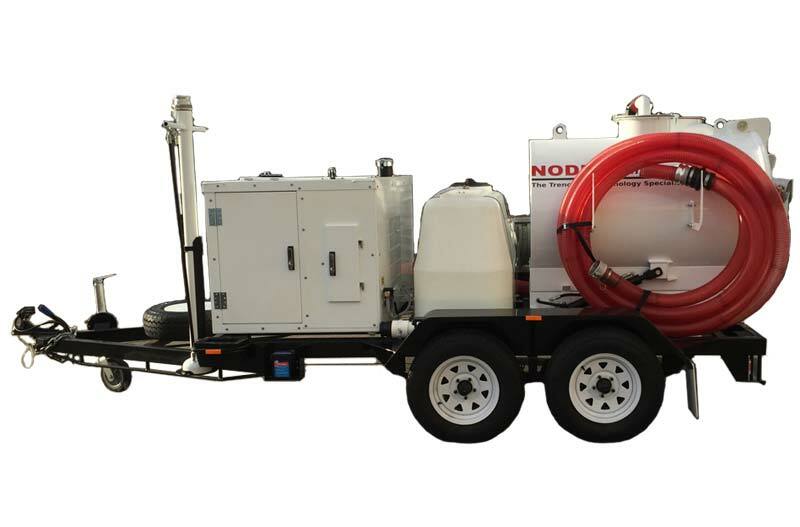 Invest in one of our simple vacuum excavation unit to protect underground assets. 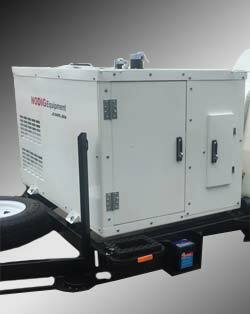 Underground services include high voltage power, telecomunication cables, sewer, live gas and are usually not exactly where the plan show them. Using a VM1000 is the easiest way to locate these services and physically see where they are before drilling, trenching or doing other excavation work. 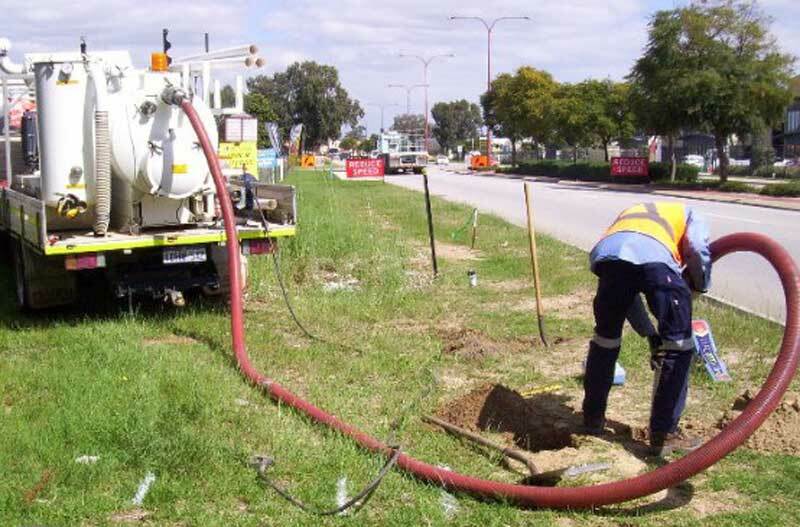 The VM1000 vacuum excavator is mainly used in crowed spaces, like cities and other suburban areas where underground services are prolific and the impact of you work has to be minimal. 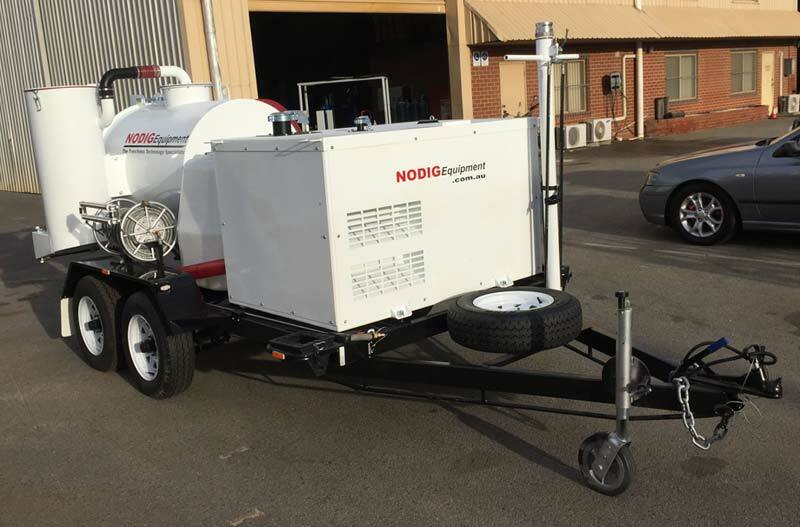 We manufacture the VM1000 mounted on a heavy duty 3.5T skeleton trailer with electric brakes or mounted on a heavy duty skid, which incorporates all standard components in one simple package, ready to mount on your own trailer or small truck. 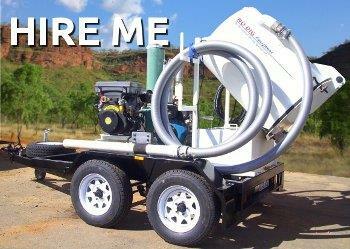 What type of work can you do with a Vacuum Excavator VM1000? What accessories come with the VM1000? 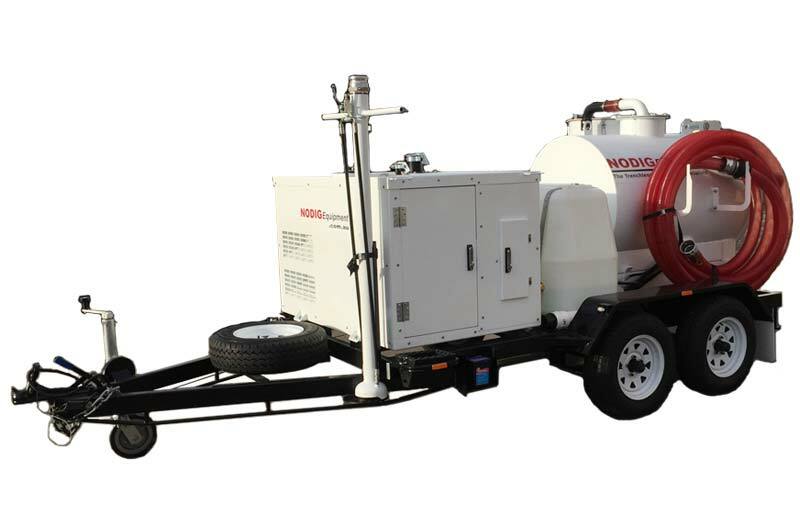 Pot-holing, locating underground utilities, mud cleaning and much more with a Vacuum Excavation system from NO DIG Equipment. Download the FREE brochure by filling out the form below.